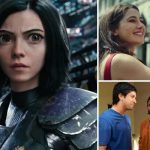 After an underperformed opening weekend, the much-anticipated Hollywood movie Alita: Battle Angel has entered on weekdays at a low note in India. Despite positive feedback from the viewers, it is not getting the expected response from the audience even in metro cities. Produced by the makers of Titanic & Avatar, the cyberpunk action American offering has got succeed to impress many critics and also gathered positive word of mouth but the box office numbers in India are not impressive at all. On Friday, it opened on an average note and collected 2.10 crores. 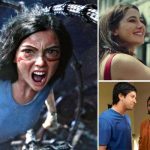 Over the weekend, Alita: Battle Angel recorded an uptrend but overall remained low and collected 2.85 crores on Saturday & 3.15 crores on Sunday. On Monday, with a significant drop, it minted 1.20 crores and raised 4 days total collection to 9.30 crores from English, Hindi, Tamil & Telugu versions. On the other hand, Nargis Fakhri & Sachiin Joshi starrer horror-thriller Amavas has received mixed reviews from the critics and remained poor throughout the weekend with 0.60 crore on Friday, 0.70 crore on Saturday & 0.70 crore on Sunday. On Monday, with a normal decline, it collected 0.30 crores and raised 4 days total collection to 2.30 crores. 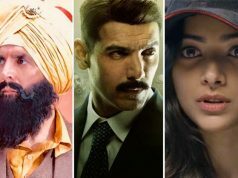 Farhan Akhtar & Annu Kapoor starrer comedy-drama The Fakir of Venice has also got failed to impress all the critics and even in attracting enough audience. 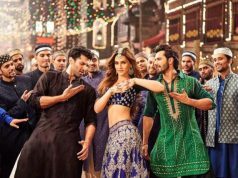 In the opening weekend, it raked the business of only 0.75 crore which included 0.20 crore on Friday, 0.25 crore on Saturday & 0.30 crore on Sunday. After collecting 0.10 crore on Monday, the 4 days total collection of the movie has become 0.85 crore.